If you’re a fan of any motorsport, you’ve no doubt heard that one before. Especially NASCAR fans. It’s about more than that, though; it’s about the atmosphere as the lights go out and everyone races for that first corner. It’s about the adrenaline and excitement of overtaking; the speed and precision of driving around a circuit ahead of everyone else. Formula One is the pinnacle of motorsport. These machines are designed specifically to navigate circuits around the world, in the fastest times possible. The drivers are the best of the best, pitted against one another at speeds of over 200mph, in order to see who is the ultimate driver. Of course, it’s not really that simple. F1 is not entirely balanced, as teams like Mercedes Benz and Ferrari have the resources to put together a package that is way beyond the other teams in the field, which is why Lewis Hamilton and Sebastian Vettel are basically the only two drivers in the fight for the 2018 Formula One World Drivers’ Championship. Luckily, the latest entry in the F1 series from Codemasters isn’t quite as strict when it comes to these real world issues. When you begin your career in, you can choose to join any team in the championship and attempt to take them to the top of the table. 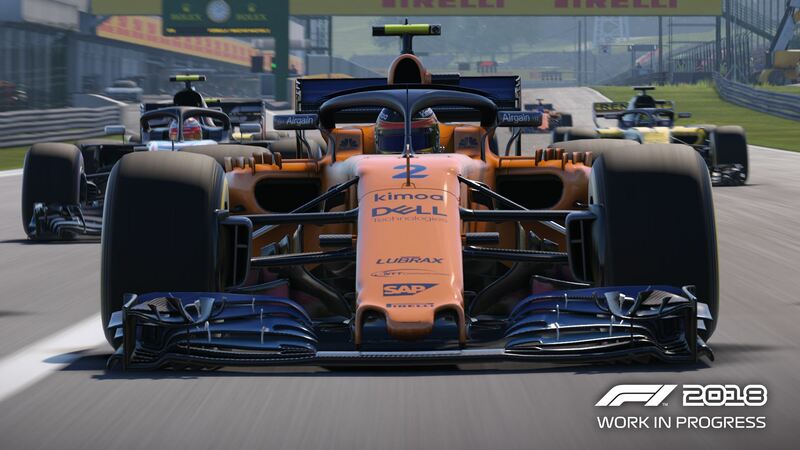 The new Career mode is where you’ll likely spend the majority of your time, so it’s understandably the mode with the most features and biggest changes since last year’s entry. Once you’ve joined your team, you’ll be introduced (or reintroduced, if you’re a returning player) to your agent who, in turn, will introduce you to Claire, who will represent the media and interview you at various points during each race weekend. This is probably the weakest part of the game, as you’re forced to answer quickfire questions about your car and performance, with your answers affecting how various departments within your team respond to you. You’re given such a short time to respond that you’ll often not be able to read each answer before deciding, which can lead to one of your R&D teams holding up your progress. It’s not quite that drastic, at least not in the short term, but it’s something that really reminds you that you’re playing a game. Thankfully, once you’re out on the track, the irritations of the media melt away as you just enjoy the responsiveness of the handling and incredible sense of speed that accompanies every press of the loud pedal. Or the right trigger, at least. Codemasters really has improved the handling of these games over the years, with 2018 a joy to play. Sure, it can be overly complicated when you need to switch engine modes on-the-fly, using the D-Pad to navigate menus as you’re still driving at high speed, but have you ever seen a real F1 steering wheel? There are more buttons than on an Xbox controller and those guys are doing it for real, so it does go some way to capturing the minutia of keeping an F1 car at its optimal running capacity. And that’s what it’s all about, isn’t it? Yes, you can play with all the assists on and never even touch the Multi Functional Display (MFD), and still have a blast as you scream across the finish line in first place. Thing is, for fans wanting the full experience, F1 2018 really does provide everything you need. Even if what you need is for your engineer to stop bothering you, you can tell them to be quiet over the radio – using your microphone, if you really want to. This is the ultimate representation of Formula One. 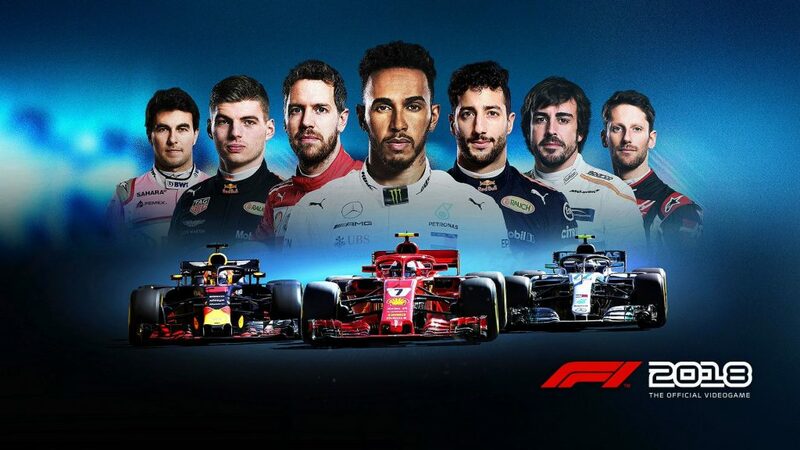 You’ll obviously be wanting the full field of licenced drivers, so they’re all there and fully modelled to look eerily like their real-life counterparts; how about the full calendar of circuits, including Circuit Paul Ricard and the reintroduced Hockenheimring? Yep, all here in astounding detail. Alongside these things, you’ll see every team’s cars recreated with the utmost care and attention, all featuring this year’s much maligned halo; the ring of protection that sits over the cockpit. All of this looks stunning during races. From the cars themselves, to the fully animated pit stops and the dynamic weather, everything looks exactly like the real thing. It drives like the real thing, too. Well, the drivers have said so and I’d be inclined to agree with them. But as a fan of the sport, it feels just like how you would imagine, and the handling model has you feeling like an F1 driver as you fling the car around each circuit at ridiculous speeds. I’ve always found simulation racing therapeutic, and here is no different. I love learning each track and setting up the car for each race weekend. Idiots like myself can use the simplified settings, while more experienced engine buffs can tinker with the finer things to ensure the correct downforce for Spa or Silverstone, for example. 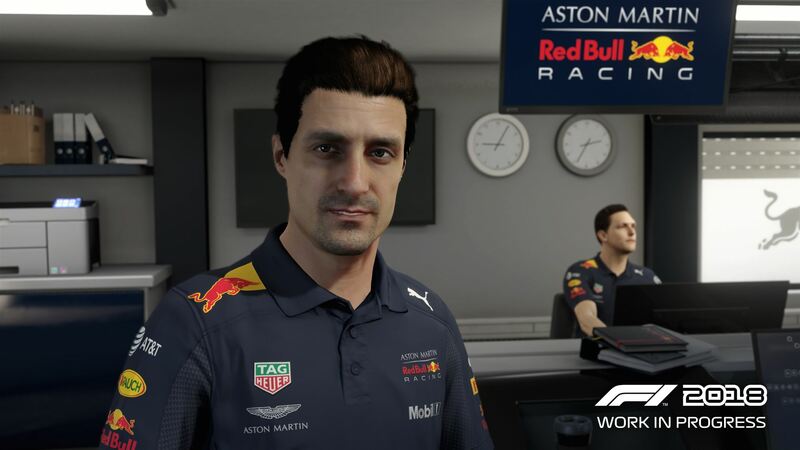 In career mode, you can also use practice sessions to run specific programmes in order to help acclimate yourself to the racing line or learn how to preserve your tyres. This also earns you resource points to help develop your car throughout the season and stay competitive. Staying competitive isn’t just about going fast, either. You only have a certain number of each major part of your car, and looking after them is vital because if you go over the allotted number of gearboxes or engines, will result in a penalty. This will drop you down the grid at the start of the race, severely compromising your ability to earn points and podium places. As always, you’ll also have to watch your tyres and fuel. 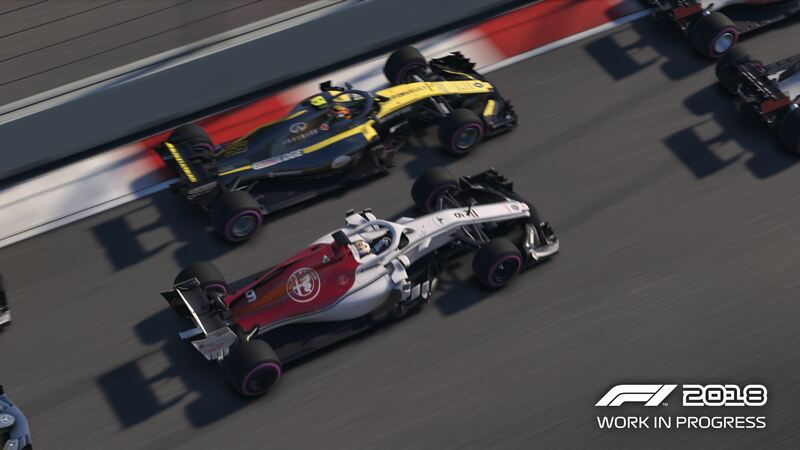 Everything about F1 2018 is about realism, so strategy plays as much a part as putting your foot down. A good way to test your abilities is in the returning Event Mode, in which you’ll play specific scenarios that will change on a regular basis. I played an event in which I had to get Carlos Sainz from 14th up into 8th place within eleven laps at the end of a race at Spa. Right near the beginning, just as I was about to reach the pits, a Virtual Safety Car period started. Should I pit now, or take the chance and go to the end on these tyres? I spent the rest of the race wondering if I’d made a mistake by staying out, but luckily Fernando Alonso slowed with a problem, meaning I could get into 8th place. I couldn’t relax though, Max Verstappen was bearing down on me and rain clouds were gathering overhead. Through careful use of my various engine modes, I just managed to keep Max at bay until the end of the race, despite the track turning slick from light rainfall. This kind of thing is a regular occurrence in F1 2018, with close races happening all the time. If you find yourself struggling or getting too far ahead, the difficulty is extremely customisable and you’ll often find your challenge sweet spot through experimentation. This is easily the best the series has ever been, in both gameplay and presentation. Fans will love the realism, newcomers will enjoy the benefits of the assists and the ever-present rewind function (it’s wonderful for correcting your mistakes and learning from them), but everyone can simply enjoy a good race. It’s certainly more than just driving in circles.